A leaked image from a private business event held by Samsung in China recently has shown off some of the display technologies that the South Korean company is working on. The four technologies mentioned in this instance are Fingerprint on Display (FoD), Haptics on Display (HoD), Sound on Display (SoD), and Under Panel Sensors (UPS). 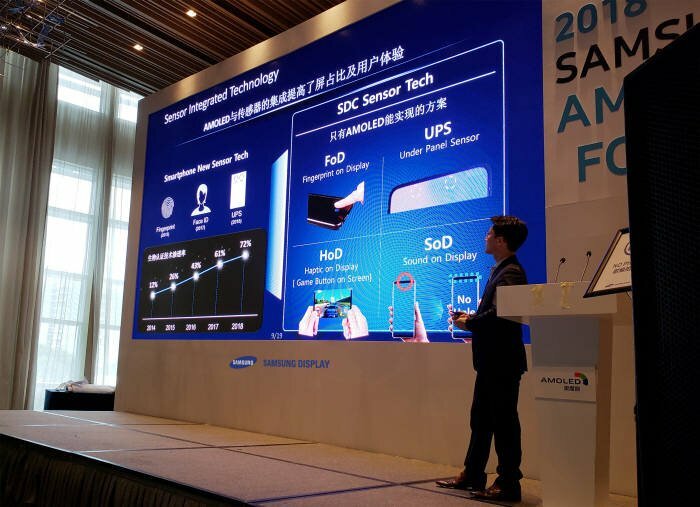 Samsung held a private event at the Shenzhen Marriott Hotel in China recently for a handful of its business partners, and some of the details of the meeting have been leaked on to Twitter by Ice Universe. An image of a PowerPoint slide with the heading “Sensor Integrated Technology” shows Fingerprint on Display (FoD), Haptics on Display (HoD), Sound on Display (SoD), and Under Panel Sensors (UPS). 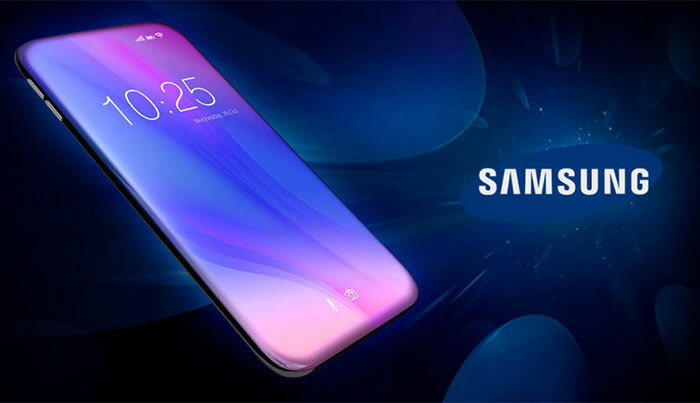 This has led to speculation that the tech giant intends to make the Galaxy S10 a bezel-less and notch-free flagship device. FoD is expected to incorporate ultrasonic pulses that will enable the device to create a 3D model of the user’s fingerprint, something Notebookcheck has already reported on. HoD technology has been created to emulate the feeling of physical buttons and improve over current haptic feedback technology, and SoD utilizes the screen of the device as a speaker. However, as Forbes has pointed out, what is really interesting for potential buyers of a Galaxy S10 is the UPS technology. UPS tech aims to remove any pesky sensors from the display, such as the camera, and then place them beneath the screen's surface, thus creating a completely bezel-less and notch-free smartphone. The reduction of bezels has become something of a competition among smartphone manufacturers over the years; the complete removal of the much-maligned notch would be much more of a unique selling point for the Galaxy S10 over its notch-wielding competitors.